At Salem Structures LLC, before making a buying decision regarding our All Steel Carports™ product line, many of our customers have done a great deal of research as to how to choose the best steel garages and carports. The fact that they choose to purchase one of our exceptional commercial steel buildings, carports, or garages is testament to the fact that we take great care in ensuring all of our steel buildings meet the highest standards. If you are just starting your search, some important factors in making an informed decision will include understanding the difference between the various materials used in the construction of steel buildings, carports, and garages. Keep in mind that quality products and workmanship are key to a long-lasting product. While quality materials and construction are certainly important when it comes to buying any type of steel building, it’s also essential that you choose a company that is able to provide you with exceptional service. At Salem Structures, we’ve become a leading company for commercial and residential steel buildings because of our commitment to providing the very best carports, horse barns, garages, and commercial steel buildings as well as our desire to ensure that every customer is a satisfied customer. We also offer a wide variety of options and accessories to help ensure that you are able to customize your building to meet your specific needs. At Salem Structures, we take pride in being able to offer garage sales Ohio residents can trust. 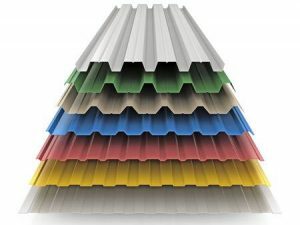 One of the things that helps us ensure that every steel garage and commercial building that we sell is of the highest quality is the fact that we start with the right materials. When you want a quality garage to protect your car, RV, boat, motorcycle, or other types of vehicles, you can always rely on us to deliver a quality garage that meets your exact specifications. Our garages are extremely sturdy with the flexibility to ensure that you’re able to get the design that will best meet your particular needs as well as style options to give you a great looking steel building. 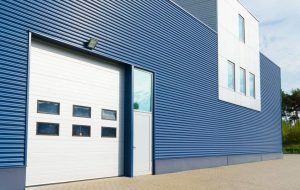 You can choose a commercial garage that is big enough for you to park your vehicle on one side of the garage and store some additional items on the other side. Regardless of the configuration options you choose, you’ll find that a custom steel garage is able to offer today’s homeowners an attractive and ideal solution for protecting a wide range of items. What Costs More? A New Pickup or a New Garage? Your quality custom built garage can be ordered to meet your specific needs, so there’s always a perfect solution for every buyer. Additionally, because steel garages offer exceptional protection, you won’t have to worry about damage to vehicles from the sun, wind, rain, hail, or snow. Leaving a vehicle out in the elements can cause a lot of damage in a very short amount of time. Whether it’s protection from fading seats, dents and dings from flying debris, or simply a great way to keep your vehicles looking their best, our customized steel garage sales offer an affordable solution for protecting just about any type of vehicle. At Salem Structures LLC, we know that affordability and durability are both extremely important factors to our customers, and that’s why we’re happy to offer steel garages and commercial buildings with sturdy frames in your choice of either 12 gauge or 14 gauge galvanized steel. A 14 gauge steel frame will definitely help to reduce the overall cost of your new steel garage, and our 14 gauge frame comes with a one year warranty on rust. Choosing this frame can be an excellent budget-friendly option. However, our heavier 12 gauge frame is not only thicker, but it’s also heavier and stronger, offering you even more stability and protection. This heavier steel frame also comes with an impressive 20 year warranty against rust! Steel panels will complete your garage and are made from 29 gauge steel for long lasting protection. These panels are available in 13 different colors, giving you many options that you can choose from, ensuring that you’ll be able to get the right look for your new garage. In fact, if you prefer, you can even mix and match the base and trim colors in order to create a unique look that’s just right for your property or other outbuildings. You can even choose the colors and options you prefer to design your steel garage to match the look of your home. Many people like to have their home and garage done in matching colors, as well as our high-quality all steel carports and sheds, which is generally not a problem. In addition to having the option of being able to choose the thickness of the galvanized steel frame used to construct your new steel garage, you can also choose from a variety of other options. For example, we offer a standard corrugated roof on all of our custom steel buildings and garages, but you can also opt for an A-Frame roof to give your structure a more residential and appealing stylish look. This type of roof has a higher peak and adds an extra bit of style appeal to your steel building. Customization options also include just about any combination of windows and doors that you need. You can choose from walk in doors as well as roll up doors to help provide the flexibility you need in order to meet your specific requirements. You can choose to add one or more roll up doors, depending on the size of your steel garage. These doors can all be the same size or you can use a combination of sizes, depending on how you plan to use them. Standard walk in doors can be conveniently located to help ensure easy access to your garage. These doors can be especially helpful when you also use your garage to store yard equipment and other items that you want to be able to access without having to open the larger rollup door. Another option with our doors is you can choose to have 45° cut outs, giving the door opening a more stylish look. When customizing your steel garage sales, you might also want to consider where you would like to place a window or two. Windows are an excellent way to bring some natural light into your garage, shed or commercial steel buildings; but they can also add a very nice touch to the overall design of the structure. A steel garage with a window or two can be designed to blend well with the look of your home, regardless of the style. Windows often provide a nice cohesive look for a more appealing appearance for your property. Quality built steel garages are certainly excellent for storing just about any type of vehicle you might have. In fact, you can choose the height you need, so if you want to store a large boat, RV, tractor, semi or other larger vehicle, your custom built garage can be made to easily accommodated whatever you have to park in it. You can choose the size and the style of garage as well as the rollup doors that are wide enough and high enough to easily allow for oversized vehicles or special size requirements. Additionally, Ohio steel garages can be customized with an attached lean to roof and frame structure, providing expanded coverage for even more under-roof protection. 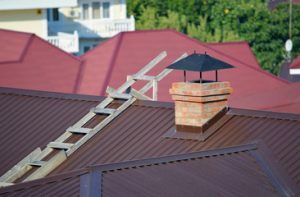 Other helpful options include an extended roof or awning, with or without gabled ends as well as a choice of walk-in doors, insulation, trim, ground anchors, and more. Steel garages by Salem Structures LLC are generally much more affordable than a traditional wood garage and they have the added benefit of being able to be taken down and moved, if necessary. Of course, with the numerous options and accessories that are available to our customers, you can also choose the garage you need today with the flexibility of being able to add-on other options and features in the future. Whether your needs change or you decide you want to add-on, changing or modifying your Ohio All Steel Carports™ garage to meet your current needs is always an option. Why Choose Salem Structures and Ohio All Steel Carports™ for your New Prefab Garage? The All Steel Carports™ brand specializes in providing the highest quality steel garages and commercial buildings to meet a wide range of needs. We have skilled employees and a commitment to ensuring a quality well-built garage that will stand up to the elements. Since our dealership’s reputation is on the line, we insist on only quality materials in the design and building of your garage. With attention to even the smallest components, our garages are built for functionality and durability as well as customer satisfaction. Our new steel garages will even standup to the weight of a very wet and heavy snowfall. Regardless of your specific prefab structure needs, let us help you design and build the new garage that’s right for you.